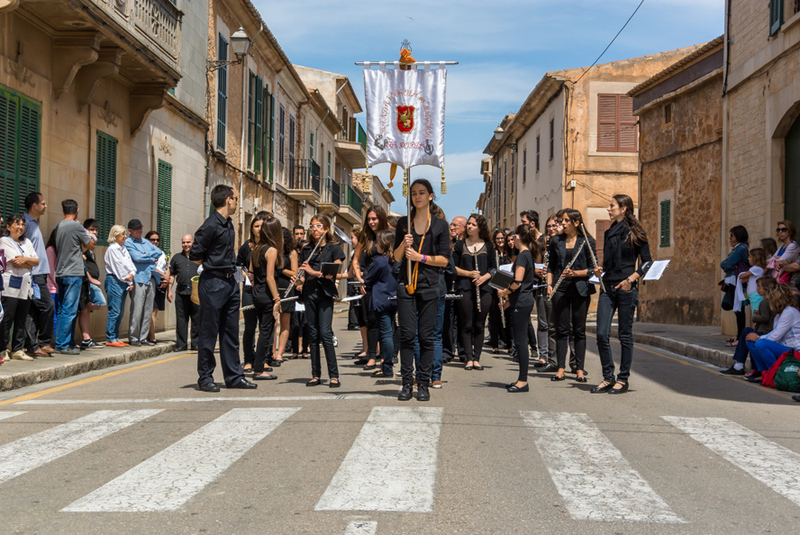 Last Sunday, Santanyí held the 17th Annual Gathering of Mallorcan Bandes de Música. Brass bands from 13 pueblos from all over the island were present, including the one from Sa Pobla (shown here). It was a very jolly affair. The photo was taken in Santanyí. The date: June 1st, 2014.